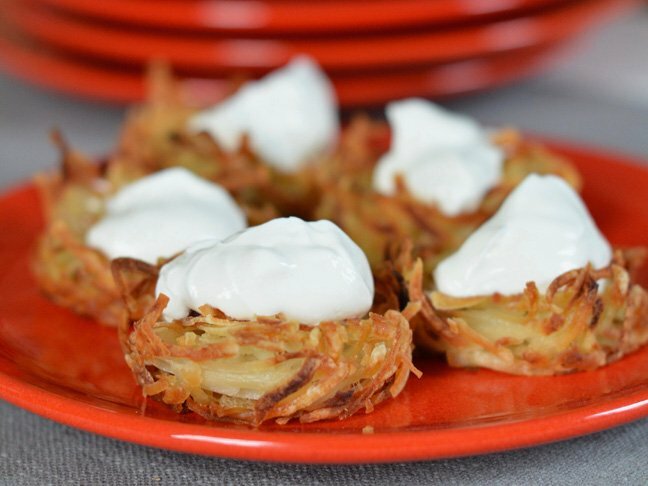 Parmesan hash brown cups are the best of all worlds. 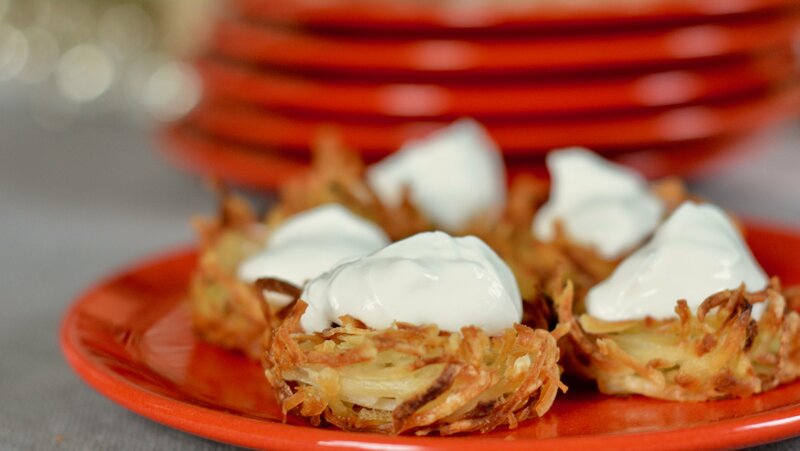 It’s like your favorite breakfast hash browns got a makeover with the addition of Parmesan and a dollop of sour cream. They taste amazing with a fried egg for breakfast or brunch, but I usually serve them as a side dish with dinner. Here’s something else: The ingredients are totally low-fuss. I start with frozen hash browns and finely grated Parmesan cheese from the store. Then I mix in the ingredients, bake them, and add sour cream at the very end. So easy, right? Need a delicious and easy breakfast or side dish that your whole family will love? 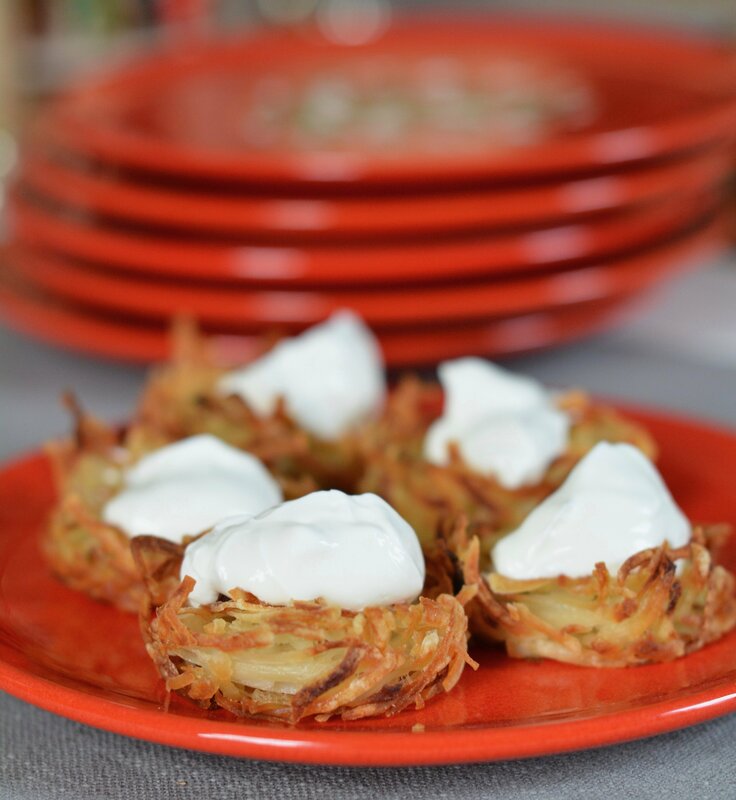 These baked Parmesan hash brown cups are just what you have been looking for! Step 1: Preheat the oven to 350 degrees F. Spray a 12-cup muffin tin and set aside. Step 2: Pat the shredded potatoes dry with a clean towel. Step 3: Add all of the ingredients to a large bowl and very carefully toss it all together with your hands. Try to be careful to not break any of the potato strands. Step 4: Press the mixture into the muffin tins so the cup is about 3/4 full. Really press in the hash browns -- they will shrink during baking. Bake for about 45 to 50 minutes, or until the edges are golden brown and the tops are set. If they need to darken then bake a little more. Step 5: Allow the cups to cool for about 5 minutes in the pan before removing. Set the on a plate and dollop with sour cream and chives and serve warm!